Christmas week has finally arrived and with it came not four calling birds or even three french hens but an incredible amount of snow. Every year Britain hopes and prays for the coveted White Christmas, people put bets on it, songs are sung about it and children stare wide eyed out the window waiting for it. However, every year the ground remains snow free and we shelf those hopes for another year. This year the snow finally came but no one greeted it with open arms and smiled as it fell. People, it seems, love the idea of snow just not the actuality of it. With people stuck in airports and supermarkets rammed full of people assuming the snow means the end of the world, snow is definitely not the welcomed Christmas guest. 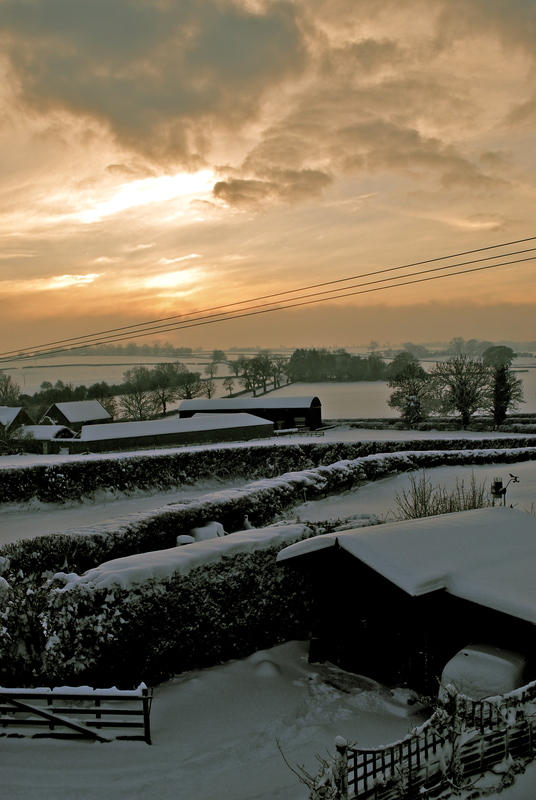 To remedy the anger at our snow flaked friend, my present to you this yule tide is this picture of the view from my window to remind you all how wonderful snow is. What a Christmassy shot! Lovely! What a beautiful shot, James. Am thinking of you and your family what the difficulty of getting around. Hope you’re able to pick up Grandma Pamela so she can enjoy Christmas festivities. Hello to all of your family! This look straight out of one of the first ever Enid Blyton books i had read eons ago! I love snow.Wonderful pic. Which Enid Blyton book is it? Thank you for commenting. i havent seen snow since climbing mount kenya and it was nothing like this the last time i saw snow like the was when i was a kid and my sister pushed me out the small window into the garden in bare feet..